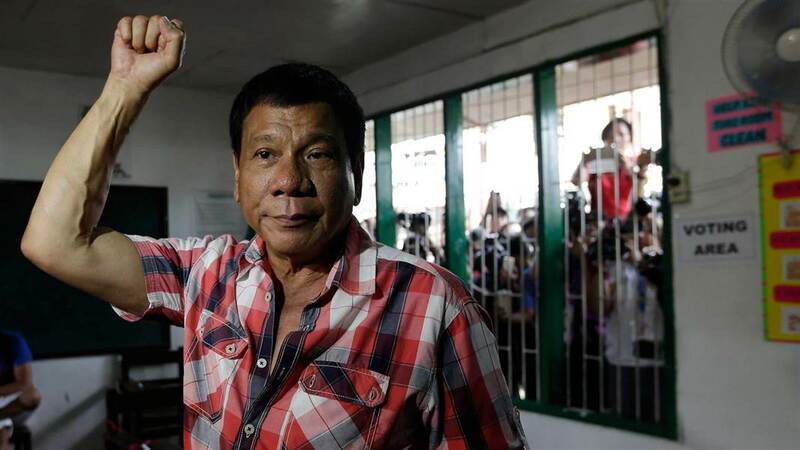 DAVAO CITY, Philippines- President-elect Rodrigo Duterte will be using P1-billion worth of unspent campaign funds as bounty for the arrest or killing of drug lords and traffickers in the country. Duterte made the announcement during his victory party at the Crocodile Park in Davao City on Saturday, June 4. “Ang bayad ko ngayon, ‘pag drug lord, mag-announce na ‘ko, P5 million ‘pag patay. Kung buhay, P4 million 999 thousand lang,” Duterte said. In his profanity-filled speech, the tough-talking mayor of Davao City has raised the bounty for the killing and arrest of drug lords from P3 million to P5 million. A bounty of P 2 million is offered for every killed drug “distributors” and millions for arrested ones. Meanwhile, Duterte offered P50,000 as bounty for small time drug dealers. The incoming president also encouraged ordinary citizens to shoot drug traffickers if they have a gun and resist arrest. He also promised to give a medal to citizens who would follow his order. “If lumaban at may baril, barilin mo (If he fights back and has a gun, shoot him. ); I will give you a medal. And if you do it every day, gawin kitang chief ng PC (Philippine Constabulary),” Duterte said. Former senator Aquilino Pimentel Jr., founder of PDP-Laban and among those who moved to abolish the death penalty, reminded Duterte that criminals have rights to due process. Pimentel emphasized that lifetime imprisonment is enough to punish convicted drug lords and heinous crime offenders. “If given the choice, I would prefer death penalty than extrajudicial killing but I wouldn’t want the death penalty. A life sentence is harsh in dealing with these criminals,” Pimentel said.